If you have a football, cricket, polo or other shirt, and you’re not sure how to display it, bring it in to us and we can show it off to its best. We stretch our shirts over a custom made former shaped to your specifications. It’s hand stitched over the former then attached to a coloured backboard of your choice using velcro, making it a fully reversible process. We can also frame hats, scarves, and have even framed a wedding dress for a customer! If you have clothing you’d like framed, you can contact us to discuss your requirements. We have extensive experience of framing textiles, such as cross stitches, embroideries and tapestries. Framing textile work is a good way of protecting the item from dust, damage and fading. 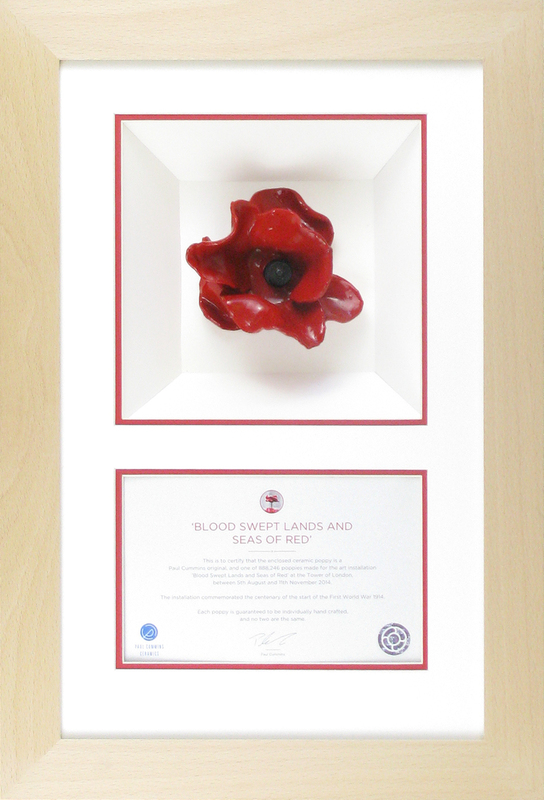 We have extensive experience of framing unusual objects, and can advise you as to how best to show off the object. Framing also protects fragile or very old objects, sheilding them from dust, dirt and UV light. Insects, such as butterflies and moths. Military medals and other related items. Ornaments and other small Items. if you have an object you’d like framed, and would like to discus possibilities visit or contact us and we can find a solution to display your item. We are happy to try and find a framing solution for any object, no matter how unusual! 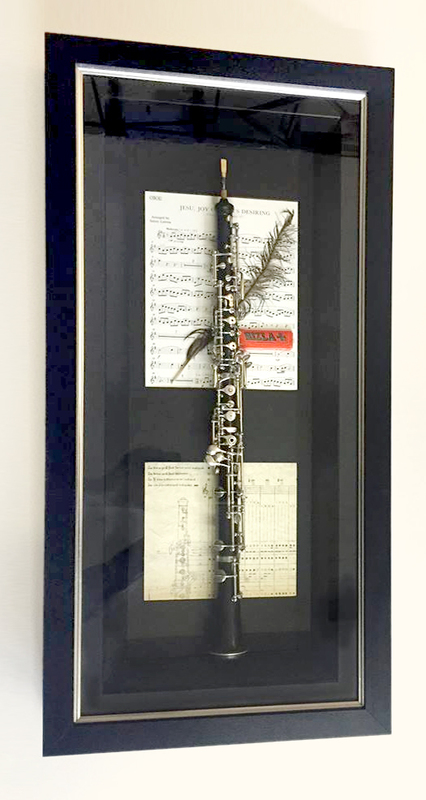 Framed Oboe in a deep box frame with sheet music framed in a multi aperture mount.